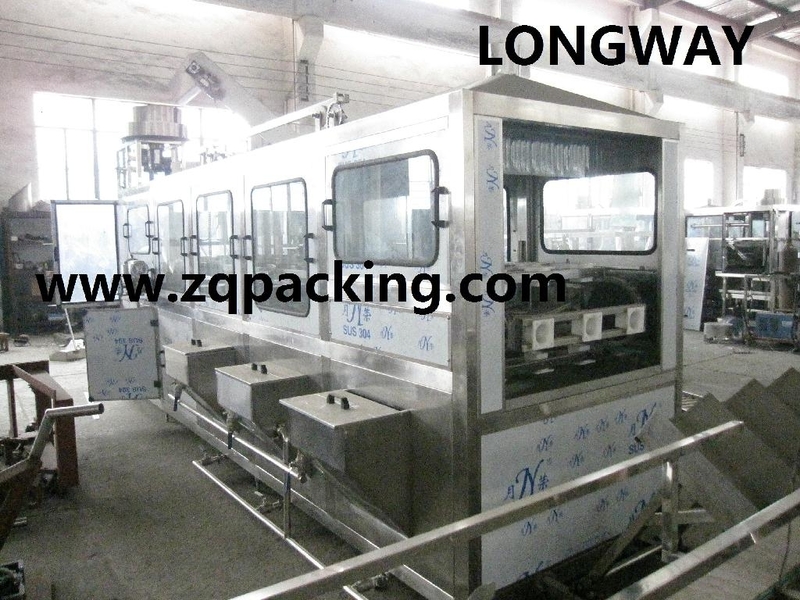 Two rows multi-stage washing and pure water filling machine, capping machine, automatic water filling plant. The main electrical parts adopt products with brand of SIEMENS and OMRON. Pneumatic parts adopt products with brand of AIRTAC. Both the inner and outer Shower nozzle for washing barrel adopts the special technology equipment from American Sprayer Company. The machine works reliably and efficiently based On the compact structure and high automatic technology. It is the fully automatic barreled water producing equipment combined with machine, electronic And pneumatic components. It is rotary type.